Landslide maps for the northwestern portion of the Kanab 30′ x 60′ quadrangle as depicted in the updated 2010 compilation. The updated map shows added landslides and redefined landslide boundaries based on new information. 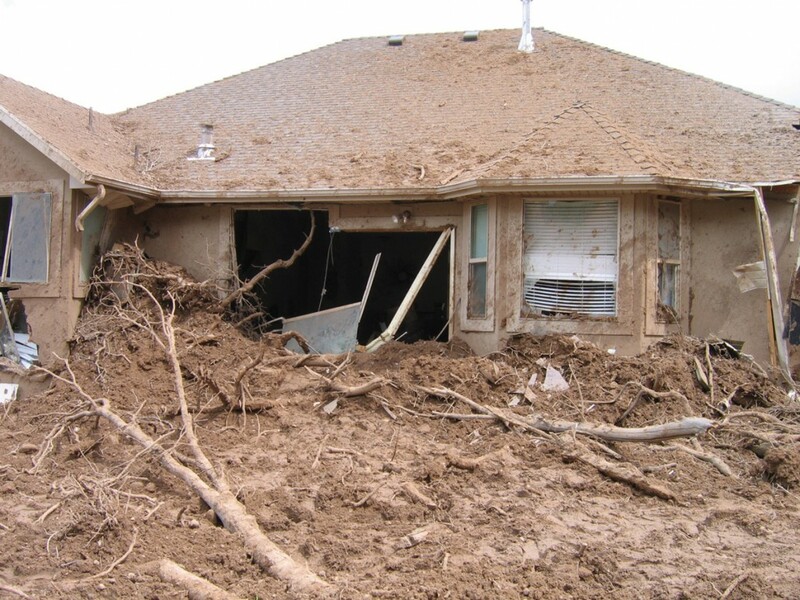 Significant economic losses are associated with landslides, and Utah contains numerous landslides and landslide-prone geologic units. In the early 1980s and mid-2000s, above-normal precipitation resulted in many landslides that caused millions of dollars in losses. Many landslides in Utah result from the reactivation of pre-existing landslides, hillslope modifications of landslide-prone geologic units, and natural gravity-related downslope earth movements. Exposure to landslide hazards only increases as development expands onto hillslopes, onto alluvial fans at the mouths of flood-prone canyons, and into other landslide-prone areas. 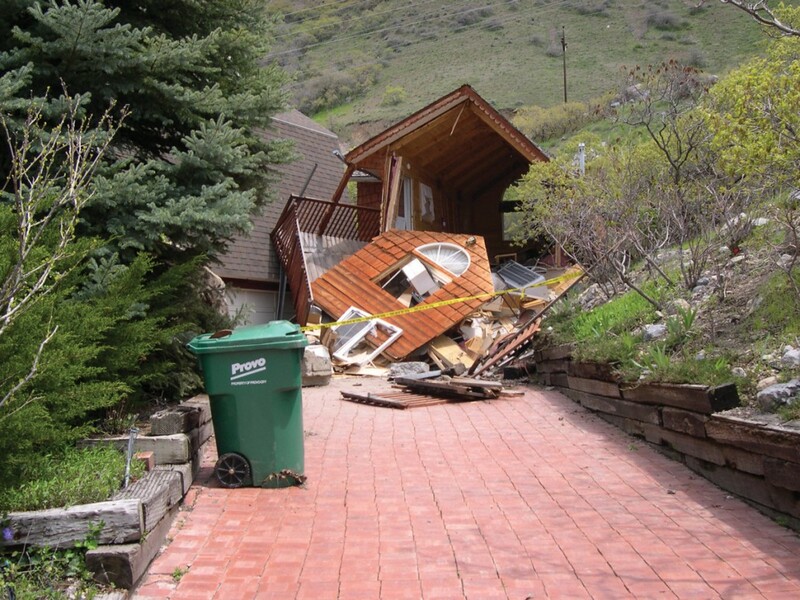 To increase awareness of the landslide hazard in Utah, the Utah Geological Survey (UGS) in 1991 published a statewide map and database compilation of landslides using pre-1989 published and unpublished sources. Since then, many new geologic maps and updated studies have been published that show additional landslide locations. In an effort to incorporate this new information and improve the understanding of landslides and their distribution throughout Utah, we created an updated version of the landslide maps and database using a geographic information system (GIS). The updated information is available in GIS format as well as PDF format and depicts 46 topographic landslide maps at a scale of 1:100,000 (1 inch = 1.6 miles). The new maps add landslide data documented in 240 geologic maps and internal UGS landslide investigations completed between 1989 and mid-2007. These new data allowed us to refine some of the existing landslide boundaries and add approximately 12,000 to the approximately 10,000 previously documented. The maps and associated GIS data provide a way to identify the location and extent of previous landsliding. The more than 22,000 landslides depicted on the maps covermore than 5 percent of Utah. The maps show various types of landslides including generally deep-seated, slow-moving landslides (such as rotational and translational slides); fast-moving, generally shallow landslides (debris flows and slides); earthquake-induced landslides (lateral spreads and flows); and landslides undifferentiated from other Quaternary deposits (such as talus, colluvial, and rock-fall deposits). In addition, the GIS data provide more-specific landslide attribute information including depth of landslide deposit, type of material, type of movement, historical landslide events, landslide-prone geologic units, possible movement causes, and original map references. Local jurisdictions, developers, geotechnical consultants, the general public, and others interested in landslides can use the landslide maps and database to identify potential landslide hazards and the need for site-specific geologic-hazard and geotechnical investigations in areas of proposed development. Although proper planning and avoidance of landslide-prone areas are usually the best ways to reduce landslide-related losses, avoidance is not always possible. Where avoidance is not possible, site-specific geologic-hazard and geotechnical investigations can identify engineering techniques that may be used to stabilize slopes or reduce the impacts from landslides. The updated Landslide Maps of Utah (2010, by A.H. Elliot and K.M. Harty) are available on DVD as Utah Geological Survey Map 246DM.